Here are some of my best tips about choosing a name for your Facebook group – as well as a proven naming template I use with my Facebook coaching clients! 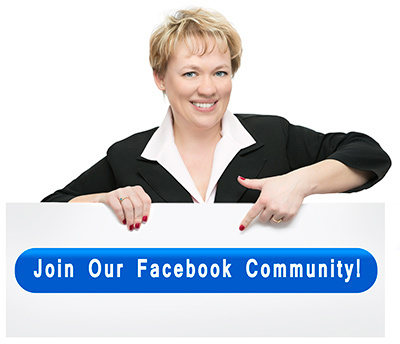 Facebook groups can help you promote and grow your business organically. First and foremost, when you create and grow your own Facebook group, you gain access to a huge community of potential clients. The people who join your group do so because they are already interested in the topics you’re talking about (which are directly related to your business). By sharing valuable content and engaging with participants inside the group, you can show these prospects you are an expert in your field. This will help you build trust and turn them into paying clients. Having your own Facebook group also gives you an instant credibility boost in the eyes of potential clients who have not yet joined your group. When a potential client sees that you already a large community of raving fans and followers, he will be much more likely to trust you with their time and money. Since having a Facebook group can do so much for your business, seemingly minor details, like naming your group, can have a profound impact on your results. 1. Who is your Facebook group for? The first question to answer when naming your group is this: who are the people you want to attract to this group? You want your Facebook group to be more than a place for discussion – you want it to act as a never-ending source of new clients! So who is your ideal client? Who does your business serve? If you have been in business for a while, you may already have an answer to this question. If not, don’t stress about it too much: you don’t have to get too specific just yet. 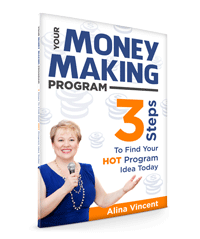 You can simply say that your group is going to be for women entrepreneurs or single moms over 40 – we will dive deeper into details in the next step. 2. What does your ideal audience have in common? Your audience, or your ideal clients, is not a completely homogenous group of people. However, they do have certain characteristics in common, such as their goals, dreams, or passions. Is your ideal client on a mission to accomplish something (grow their business, build a website, get in better shape, etc.)? Are they passionate about a particular topic or interested in a specific subject matter? In short, what would make your ideal client say “oh, this is me” when they see your group name pop up on their Facebook feed? People want to feel proud of the communities they belong to, including Facebook groups. Since it’s easy for anyone (not just your connections) on Facebook to see your group, you want your group name to create positive associations for your ideal client. For example, you don’t want to name your group “Overwhelmed Moms” even though overworked, overwhelmed single mothers may be your ideal clients. Your group name is going to speak volumes about its members – so, make sure it’s positive, inspiring, and something people would want to belong to! 4. Should you name your Facebook group after yourself or your products? If your group is named after your business or product, your current audience might be thrilled to find it and join. However, people who don’t know about your business won’t be attracted to it – and never get to discover how amazing you and your products and services are! In addition to that, you will get better engagement and participation from group members if they feel like the group is about THEM, not a product or a brand. For best results, avoid naming your group after yourself or your offerings, and make the name results-oriented instead. 5. Are you using your ideal client’s language? Your group name has to resonate with your ideal clients – which is why it is very important to know what words or phrases they self-identify with. What language do your ideal clients use to talk about themselves, their interests, and passions? If you can, interview your existing clients to find out what these words or phrases are. If you don’t use the exact language your ideal clients are using, you will have a hard time reaching the right audience. Plus, your group name is going to represent YOU and your brand. So choose your words carefully! So, now that you have considered all the factors above, what should you name your Facebook group? The first rule of naming your Facebook group is keeping it simple. Use simple, searchable keywords that will make it easy for you to get found by potential clients. Keep in mind that, as long as you have less than 5,000 members in your group, you can easily change the group name in your group’s admin panel. Until you reach that threshold, you can experiment with your group name – but the following template should allow you to get it right the first time around! The best (and the simplest) way to name your Facebook group is to use the “WHAT for WHO” formula. When following this naming template, it makes the Facebook group about its members, not your services, and makes it easy for them to find you when looking up topics that interest them. Need More Help Creating Your Facebook Group? Choosing a name for your Facebook group is just one of the first steps of creating a Facebook group for your business. There are many other intricacies to creating and running a successful Facebook group – which I’d be happy to chat about during a FREE Facebook group strategy call! Want to know how you can supercharge your Facebook group and get more clients, fast?